With the arrival of spring comes the arrival of annoying and pesky mosquitos. Although they may seem small, they can ruin atmospheres with deadly diseases such as dengue, chikungunya, yellow fever, etc. Unfortunately enough, the market seems flooded with so-called “mosquito repellents” that barely work. Not to mention, the majority of them are full of chemicals and leave a poor impact on the environment. Together, let’s go over the top 12 home remedies for mosquitoes and step by step guides for mosquito proofing yourself and your home in an eco-friendly way. One of the best home remedies for mosquitoes involves the use of garlic. Garlic extract has unique mosquito larvicidal properties which make it incredibly effective towards repelling mosquitos. Due to the strong compound, not to mention the strong smell, seems to overwhelm mosquitoes and prevent them from either snacking on your blood or swarming your home. First, grind a fresh garlic clove and boil it in 1 cup of water. Pour the solution into a spray bottle and spray it around your home, especially open windows or doors, where mosquitos are most commonly found. This method will not only kill off mosquitoes in the area but also prevent mosquitos from returning. Alternatively, you can also try consuming more garlic in your daily meals to prevent them from making a meal out of you. If you’re looking for essential oils that can help prevent any further mosquito problems, citronella oil is a must buy. Due to the harsh smell of the oil, it can kill and prevent mosquitoes from entering your house or flying near your body. This makes it a great home remedy for mosquitoes. Simply add a few drops of citronella oil into candles around your home to keep mosquitos at bay. Alternatively, you can pour citronella oil in a spray bottle and spray in mosquito-dense areas. To make one of the most effective home remedies for mosquitoes, use coffee grounds. This simple home remedy, naturally due to the fact everyone has coffee grounds somewhere in their house, is effective and nice smelling. When placed in water, coffee grounds can actually kill off mosquito larvae before they hatch, killing them directly at the source. Sprinkle a few coffee grounds near small pools of water near your house, since this is most likely where mosquito eggs are hatching. The grounds will cause the eggs to break the surface of the water in which they will be deprived of oxygen and die. This way, the eggs are killed before they hatch, preventing any new mosquitos in the area. Lavender oil is a great natural agent to help keep away mosquitos, entirely because of the smell. Since it has such a strong scent, mosquitos cannot tolerate it, which leads to a mosquito free area. This also makes it a good ingredient to have in a homemade mosquito spray. Pour lavender oil into a spray bottle and spray around your house. Alternatively, you can apply lavender oil to your face and body or grow multiple lavender plants around your home which will also help repel mosquitos. Lemon eucalyptus, or Corymbia Citriodora, is a commonly grown tree in Australia. It has natural mosquito repellant qualities in the oil of the leaves. This naturally occurring chemical makes it one of the best home remedies for mosquitoes. There are generally no side effects associated with using lemon eucalyptus, though it is worth noting that you should not ever use this remedy orally. Simply rub the lemon eucalyptus leaves on your skin to prevent mosquitos from feasting on you. As nice as it looks in any garden, red cedar mulch is also incredibly effective at keeping mosquitos away. Due to the chemicals embedded in the mulch, it can prevent and further kill mosquitoes who come into contact with it. This makes it an excellent homemade mosquito repellent for yard. You can purchase this at most gardening supply stores. Boil red cedar mulch in water for 10-15 minutes. Next, put the liquid in a spray bottle. Spray around your garden and house to prevent any mosquitoes from coming near. One of the greatest home remedies for mosquitoes is dry ice. 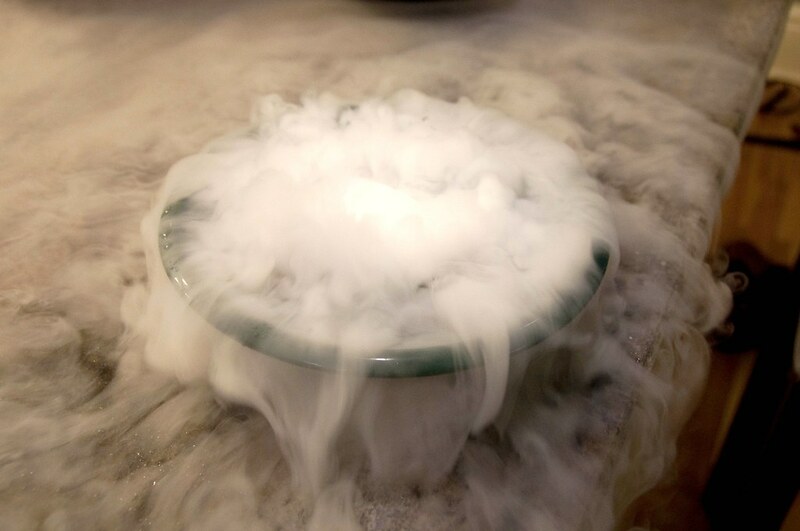 Dry ice emits a lot of carbon dioxide. The carbon dioxide is the chemical that attracts mosquitoes in the first place. Just be careful before handling dry ice as it can cause serious burns to any uncovered skin. Always wear protective gloves if you are going to be handling dry ice. Additionally, you will need to contact a specialty company if you want to buy any. Place the dry ice in your container. When you notice all the mosquitoes gathering in the container, place the lid on it. Though this is not the fastest home remedy for mosquitoes, it is incredibly effective. Holy basil can be used to make a very effective homemade mosquito repellent for yards. The leaves of this plant are known to be an effective killer of mosquito larvae. Holy basil not only gets rid of mosquitoes, it also stops potential infestations and keeps new mosquitoes from forming. Place a holy basil plant in your garden. Check for entry points on the outside of your house, such as cracks and windows. Place your plants there to prevent mosquitoes from entering your property. Doing something as simple as planting holy basil can be a homemade mosquito killer. Though mint may smell great to us, mosquitoes and other bugs absolutely hate it. This makes it one of the best home remedies for mosquitoes and a great natural mosquito repellent. In addition to being able to make a repellent, you can also grow mint shrubs on your property to keep insects away. Pour a little bit of mint oil on your hands. Apply it to any exposed skin. This will act as a homemade mosquito repellent and keep you safe when you are outside. Indian lilac is a natural pesticide and can also be used as a home remedy for mosquitoes. When mixed together with coconut oil, it produces a strong odor that mosquitos are naturally repelled by. Though it does has numerous helpful properties, using too much Indian lilac oil can lead to liver problems. Additionally, children should not use this method as Indian lilac oil may be toxic. Coconut oil is fairly easy to come by at a grocery store, but for Indian lilac oil, you may have to go to the internet. In a bowl, mix equal parts coconut oil and Indian lilac oil. Apply it all over to any uncovered skin. This mixture will protect you from mosquitoes for eight hours, if not more. Therefore, you will most likely not need to reapply. Using brown sugar, you can make a very effective homemade mosquito trap. This type of trap is called the sugar yeast fermentation method. The sugar ferments the yeast that is also in the trap. This releases carbon dioxide which mosquitoes are attracted to. However, once they fly in, they will not be able to fly back out, effectively trapping them. Everything needed to make this trap can easily be found around your home or at the grocery store. The first step is to cut the plastic bottle in half, you will need to use both halves. Next, combine hot water and brown sugar together and mix. When the mixture cools down, pour it into the bottom half of the bottle. Add a pinch of yeast into the bottle. Turn the top half of the bottle upside down and place it in the bottom half so it looks like a funnel. Tape the two pieces together but make sure the top is not covered. Put the trap in the area where the most mosquitoes are. Replace the solution in your homemade mosquito trap once every two weeks. One of the best home remedies for mosquitoes is tea tree oil. It can be used to create a wonderfully effective homemade mosquito spray that you can use every time you go outside. Its natural effectiveness stems from its antibacterial and antifungal properties. The odor of this essential oil also helps to keep mosquitoes away. Tea tree oil is available at most health food stores or a specialty shop. Add a few drops of the tea tree oil into the water and mix. Apply the mixture to your face and any other portions of the unprotected skin. Reapply if the solution starts to wear off or the smell becomes weaker. Mosquitoes can become a pesky threat to your home and family. By using all-natural, home remedies for mosquitoes, you can prevent them from making contact with either. These homemade mosquito repellents can provide a much better end result than most store-bought repellents. Have these methods worked for you? Do you have other home remedies for mosquitoes you’d recommend us to try? Feel free to comment below.